Question: I am a 22 year old female and got 3 sessions of Platelet rich Plasma therapy over the last six months. Are Belgravia’s minoxidil preparations helpful in conjunction with PRP therapy? Thanks. Answer: Hi Pearl, This depends on why you are using Platelet Rich Plasma Therapy – we are assuming it is to help with Female Pattern Hair Loss? There is no solid evidence that PRP helps with female pattern hair loss, however Minoxidil is clinically-proven and licensed by the MHRA and FDA for the treatment of genetic hair loss in both men and women. You can use minoxidil in conjunction with PRP, however the PRP is not actually necessary so it is up to you whether you decide to proceed with these sessions. 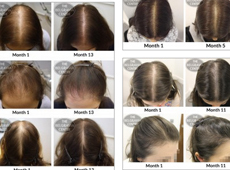 To give you an idea of the regrowth success many of Belgravia’s female clients have experienced from following a minoxidil-based female pattern hair loss treatment course, you can find hundreds of examples in our Success Stories gallery. These women have all used minoxidil, often combined with additional hair growth boosters such as the LaserComb. We would recommend you visit a hair loss specialist to receive a diagnosis of your specific hair loss condition, stage and pattern of shedding. They can then recommend the most effective treatments for your personal situation and tailor a regrowth plan to suit, and monitor your progress. 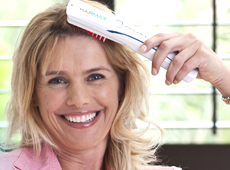 Which is Better for Hair Loss, Laser Therapy or PRP? Is PRP A Viable Alternative to Hair Loss Treatments?